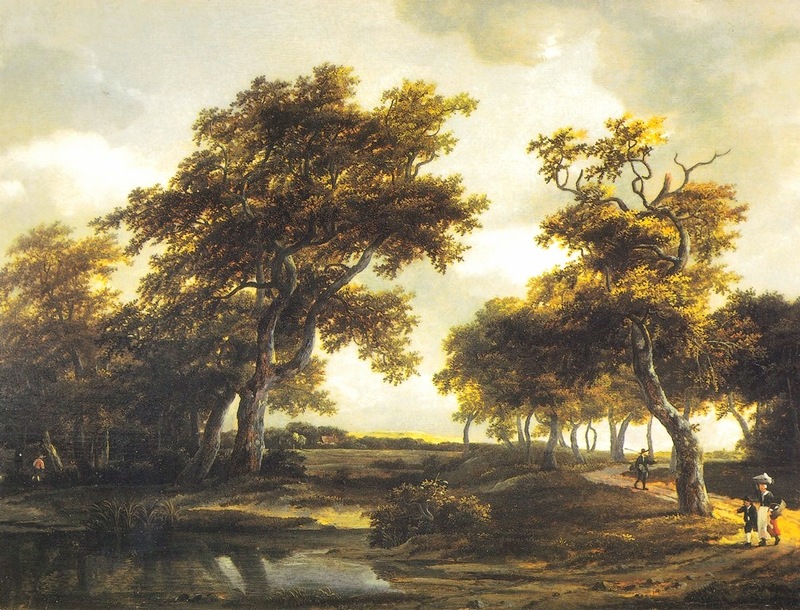 Meindert Hobbema – Hoodgsteder & Hoogsteder. Title: Mountain Landscape with Travellers and a Pond. Date: 1659. Materials: oil on panel. Dimensions: 54.5 x 71 cm. Inscriptions: MH 1659 (bottom right). Source: http://hoogsteder.com/paintings/mountain-landscape-travellers-pond/. I have changed the light, contrast and colors of the original photo.